Different pictures and shapes came about as a result of his arduous attempts at fixing the ceramic tile. In the end, the student made an important realization: it isn’t necessary to travel across the seven seas to find beauty in the world. The beauty and uniqueness of our world was to be found right there in those seven broken pieces! Although this may be no more than an old fairytale, take a moment and try your luck with Tangram Moment. In the Tangram Moment game, the idea is fit the seven Chinese shapes into a specific figure. This sounds way easier that it actually is – trust me! The figures (people, animals, boats, geometric shapes and more) are basically silhouettes. Arranging the pieces in the right order may seem pretty simple in the beginning, but as soon as you start actually putting down the pieces everything becomes much more challenging. Tangram Moment offers a very diverse array of different themes and shapes. You’ll have to unlock each figure in order to move on to the next one. In the main menu, you have the option of selecting a specific category. The game takes a little practice, but it’s a great way to kill time. As far as the screen is concerned, you can pick between three different background pictures: a wood, bubble or flower motif. In terms of controls there really isn’t all the much to say. In each category, the first figure is unlocked, but you will have to solve them in order to continue with more difficult ones. When you open up a puzzle, the figure silhouette appears in white against the background. To the left and right of it are all the pieces in different colors and sizes. Just touch any shape with your finger to easily move it across the screen. A small circle with four arrows appears around each shape when it is elected. Rotate your finger around the circle to rotate the piece as you see fit. With one of the seven pieces (the orange parallelogram) you can even flip it by tapping the green button at the top of the screen. Finally, you can turn the sound on/off by tapping the volume icon on the main screen. Once you’ve successfully completed a figure, a congratulations screen appears after which you move on to the next shape. 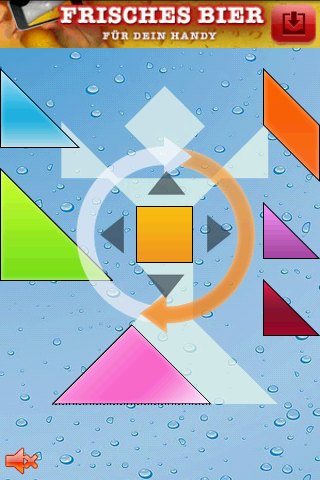 All in all the screen and controls are extremely simple and easy to use – something that is an absolute must for classic games such as Tangram Moment. 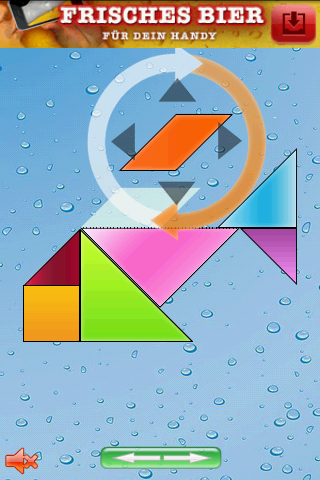 While testing the Tangram Moment game, I didn't have any problems with the speed and stability of the app. Everything loaded instantly and there weren't any crashes or lags. 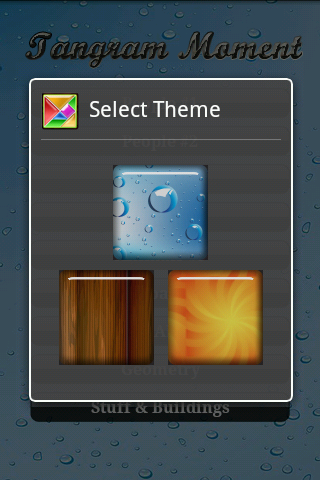 Tangram Moment can be downloaded for free from the AndroidPIT App Center.